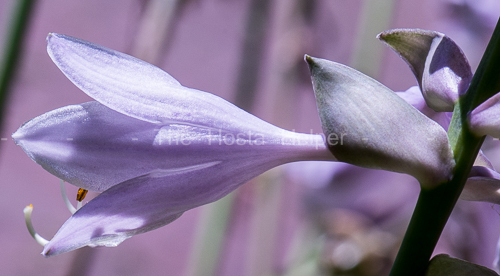 Hosta 'Sum and Substance' is the all-time classic specimen hosta. It forms a giant size (36 inches high by 70 inches wide) clump and is often used as a focal point plant in the landscape. For many decades it was thought to be a plant from Paul Aden of New York who registered it in 1980. Recently, it has been determined that 'Sum and Substance' was actually originated by Florence Shaw of Massachusetts. It is a plant with unidentified parentage but Field Guide to Hostas by Mark Zilis (2014) states that it is "...possibly a hybrid of 'Bengee' with H. nigrescens..."
The leaves are moderately corrugated, have deeply lobed margins, are cupped both up and down and have a long, distinct tip. It has thick substance which makes it resistant to slug damage. From late July into August, it produces large pale lavender flowers on four foot tall scapes. According to The Hostapedia by Mark Zilis (2009), this cultivar "...helped shape the interest in hostas as shade garden plants. It was introduced to the nursery trade in the early 1980s by Paul Aden and Klehm Nursery. Once specimens began maturing in gardens in the late 1980s, gardeners everywhere took notice...Van Wade of Wade and Gatton Nursery of Ohio planted 'Sum and Substance' in his new collection in 1986, and by 1993. It had reached a hosta world record of 48" high by 114" wide...hybrids almost always more closely resemble the other parent...The number of sports that have been generated out of 'Sum and Substance' has been staggering..."
From the Field Guide to Hostas by Mark Zilis (2014), "I often wonder where the hosta world would be if 'Sum and Substance' had never been introduced." 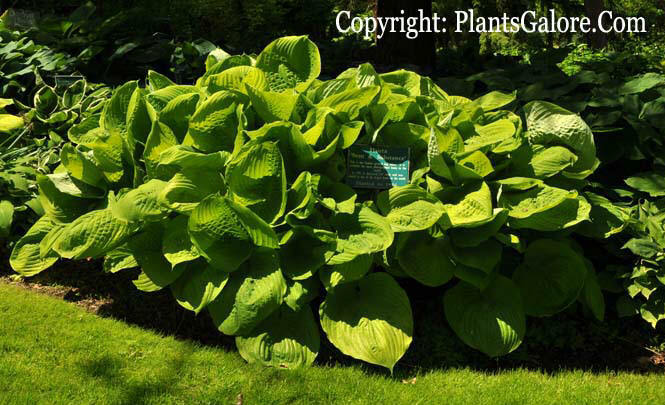 The New Encyclopedia of Hostas by Diana Grenfell (2009) states: "Origin: Unknown but thought to have H. 'Elatior' and H. hypoleuca in its parentage...Can suffer from stem blight...Selfs (i.e. self-pollinates) very easily. It is a fine parent and has produced many sports. A classic hosta." In an article about hybridizing by Tony Avent in The Hosta Journal (1996 Vol. 27 No. 1), gives the following comments on cultivars he has introduced: "H. 'Bubba' - fascinating op (open-pollinated) H. 'Sum and Substance' seedling...very glossy leaves...bright red neck...unique. Only drawback is sterility...probably due to abundance of steroids as a child!...H. 'Little Black Scape' - unique seedling from H. 'Sum and Substance' . Leaves emerge green, but change to gold about the time that the nearly jet black scape emerges...very dramatic...not released yet...hopefully soon." Warren I. Pollock in The Hosta Journal (1996 Vol. 27 No. 2) states that, "I wrote about the exciting new sport of 'Sum and Substance' named 'Lady Isobel Barnett'...The leaves are thick, glossy dark green with an irregular narrow creamy-yellow margin." Pollock went on to identify other 'Sum and Substance' sports with similar leaf colors including H. 'David A. Haskell' and H. 'Sum Total'..."
Warren I. Pollock in The Hosta Journal (2000 Vol. 31 No. 1) wrote that, "H. 'Sum and Substance' (Aden - 80)...This hosta's magnificence is site-specific, needing quite a bit of sun to look its best." In The Hosta Journal (2003 Vol. 34 No. 1) Warren I. Pollock adds, "H. 'Sum and Substance' is believed to be an open-pollinated seedling of H. nigrescens 'Elatior' and, according to Dr. Ben J.M. Zonneveld, of the Netherlands it may be a triploid." Walter Cullerton in The Hosta Journal (2010 Vol. 41 No. 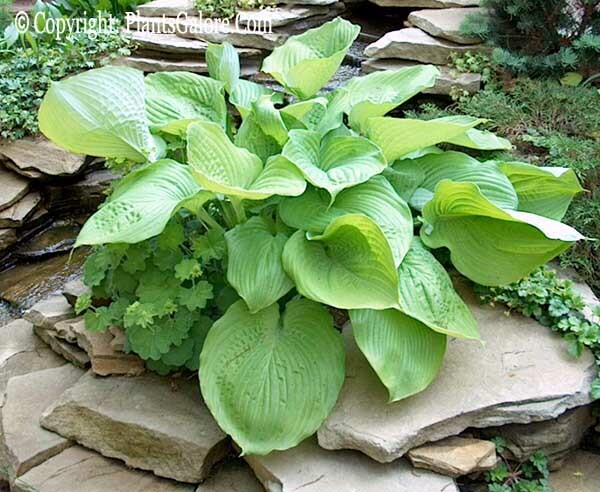 1) points out that 'Sum and Substance' is, "...not one of my favorite hostas...at a National Convention of The American Hosta Society...I was sitting next to a young chap from across the pond...He asked me if I liked vase shaped hostas, and I quickly responded, "Yes, absolutely." He then suggested that I grow 'Sum and Substance' as a three- to five-crown plant. When I got home, I proceeded to follow his suggestion and placed the plant in a 10 gallon or so terracotta planter...Wow! Ever since then, I've kept "ole S&S" in that planer, culling out several new crowns every spring to maintain the three to five crowns and the wonderful vase shape." A Photo Essay article by hybridizer Steve Chamberlain in The Hosta Journal (2010 Vol. 41 No. 1) makes comments about H. 'Sum and Substance', "...clumps of this cultivar growing in more shade are the same size at the same age; have fewer, but larger, leaves; and lack the contested appearance...In addition to genes for heavy substance, large size and yellow leaves, the unidentified parentage ...includes genes for very dark green, almost black, leaves which are sometimes expressed in its seedlings. ...H. 'Leather Sheen, "Mark Zilis and Doug Lohman registered this cross between the giant 'Sum and Substance' and the tiny H. venusta in 1988. In maturity it makes a spreading carpet reflective of H. venusta, but with the thick substance of 'Sum and Substance' and dark green, shiny leaves." An article titled Too Many Lookalikes by Bob Keller in The Hosta Journal (2010 Vol. 41 No. 2) indicates that, "There are other examples of lookalikes being registered. H. 'Ellerbroek' and 'Fortunei Aureomarginata' are nearly identical in my view, as are 'Antioch' and 'Spinners'. H. 'Patriot' and Minuteman'; 'Great Escape', 'Sleeping Beauty', 'First Frost' and 'El Nino'; White Bikini' and 'Risky Business' - the list goes on...H. 'Blue Flame' and 'Secret Love', are both sports of 'Fragrant Blue', are very similar. There are a host of margined 'Sum and Substance' lookalikes." Warren I. Pollock in The Hosta Journal (2014 Vol. 45 No. 1) reports that, "...information from Dr. Kevin C. Vaughn...suggests that H. 'Bengee' likely is the pollen parent of the popular 'Sum and Substance' ...What made 'Bengee' so interesting and desirable in the 1960s, especially to breeders, was it being the first all-gold 'Tokudama' type." Florence Shaw used it heavily as a parent," Kevin recalled. ...I'm in agreement with what Bob Solberg...expressed at the 2013 Winter Scientific Meeting in the Chicago area: "'Sum and Substance' is the second best name ever for a hosta. Only H. 'Blue Mouse Ears' is better - but just slightly." An article by Glenn Herold in The Hosta Journal (2014 Vol. 45 No. 1) states that, "Johnson (Greg) crossed H. yingeri with 'Sum and Substance' to get 'Old Coot' and 'Jaz'. Both have good substance and shiny leaves." 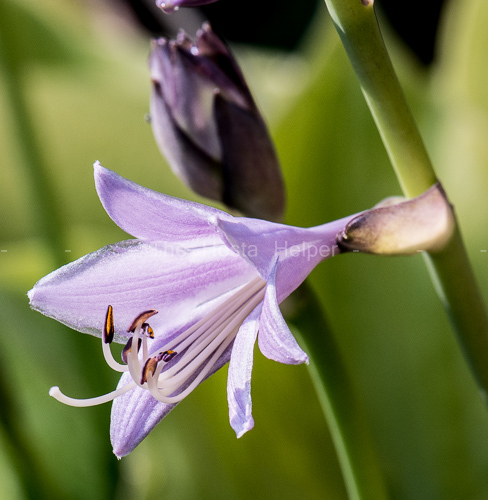 This cultivar has appeared on several of the Popularity Polls by members of The American Hosta Society (often at the top of the list). 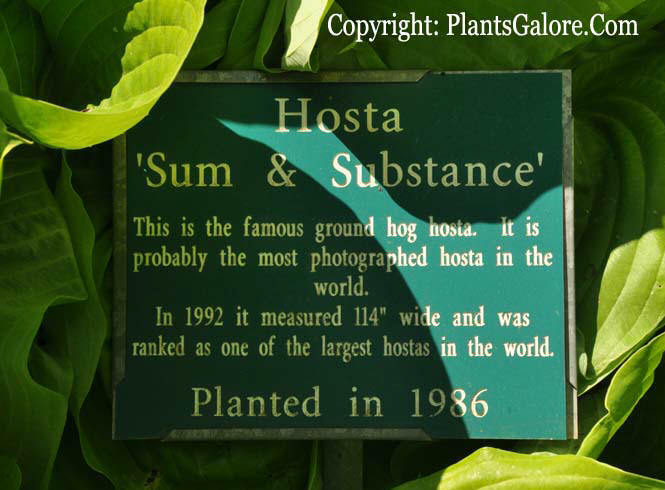 It was the 2004 "Hosta of the Year" by the American Hosta Growers Association. This cultivar has been awarded the Royal Horticultural Society's Award of Garden Merit in the UK.